It is a very proud moment that our star swimmer Tanmay Daswon followingmedals in Khelo India Youth Games Swimming 2019 held at Shree Chatrapati Sports Complex Pune from 10th to 15th January 2019. 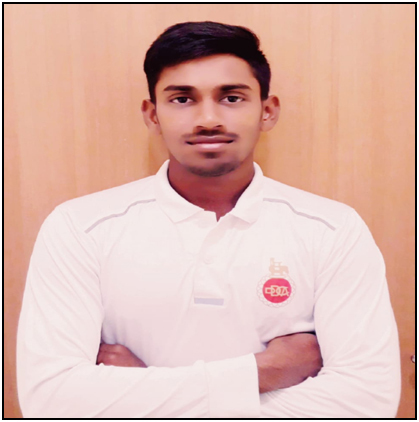 Congratulations to Vaibhav Kandpal, alumni of DPS Mathura Road batch 2017-18, selected to represent India U-19 Cricket team for two test match series against South AfricaU-19 team that is going to be held at Thiruvananthapuram from 20th February, 2019 onwards. Vaibhav, who grew an interest in the game at a very early age and made MS Dhoni his idol, got noticed during his under-14 days. His sincerity, commitment and performance have kept him in the mix and this season has been impressive. Vaibhav did his schooling from DPS Mathura Road, which helped Vaibhav work his way up to get admission in Sri Venkateshwara College. He is a student of political science knows, the importance of education, but cricket has kept him going. As Indian Captain Virat Kohli tells the upcoming players to keep their focus on the game, Vaibhav seems to be on the right path. As for his batting, Vaibhav prefers playing the waiting game, but can also play shots. 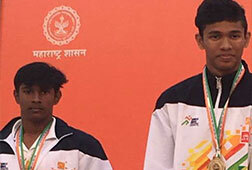 It is a very proud moment that our star swimmer Tanamy Das won 2 gold and 2 silver medal In Khelo India Youth Games Swimming 2019 held at Shree Chatrapati Sports Complex Pune from 10th to 15th January 2019. 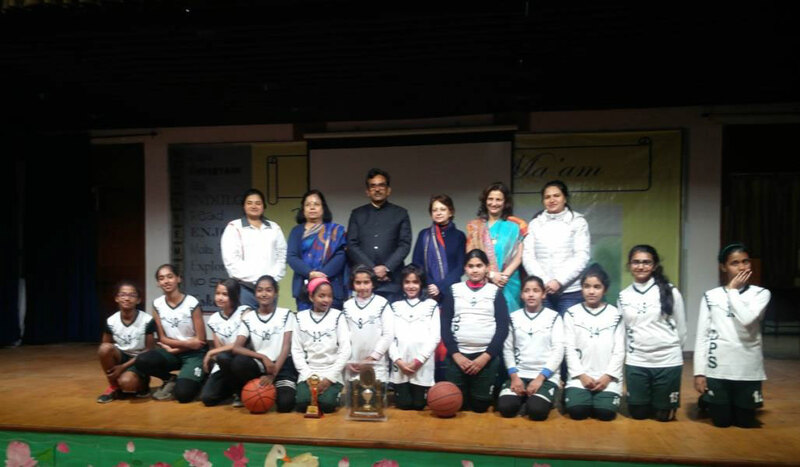 Our school Basketball Girls U-12 and U-15 team became Runner’s Up in the 4th Inter School U-12 and U-15 CAGER’S BASKETBALL TOURNAMENT held at D.P.S Vashundara,Ghaziabad from 28th of January to 31st of January 2019. 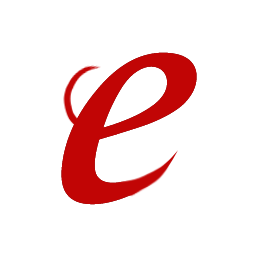 Team members are: - Ishita Gupta, Ameesha Dhal and TarushiBansal. 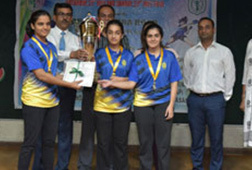 Our school Girls Table Tennis Team won the overall championship of IPSC Table Tennis tournament, held from 27th to 29th July 2018. 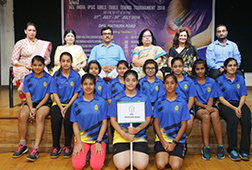 Our school U 14C Girls Team participated in the ALL INDIA IPSC BASKETBALL U-14 GIRLS CHAMPIONSHIP 2018-19 organised by The Genesis Global School , Noida from 4th to 6th July 2018. 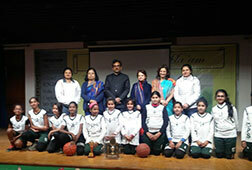 It was proud moment for our school when our sub-junior Basketball Girls Team secured SECOND position. 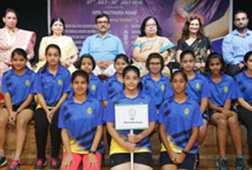 11 school teams from different states participated in this competition where our school Girls team played extraordinary and marked its place in the position holders. 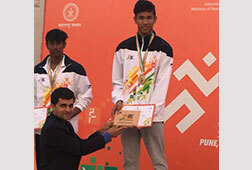 Jeevan Singh Rawat of Class XII won Gold in 800m, Silver in 1500m and 400m. 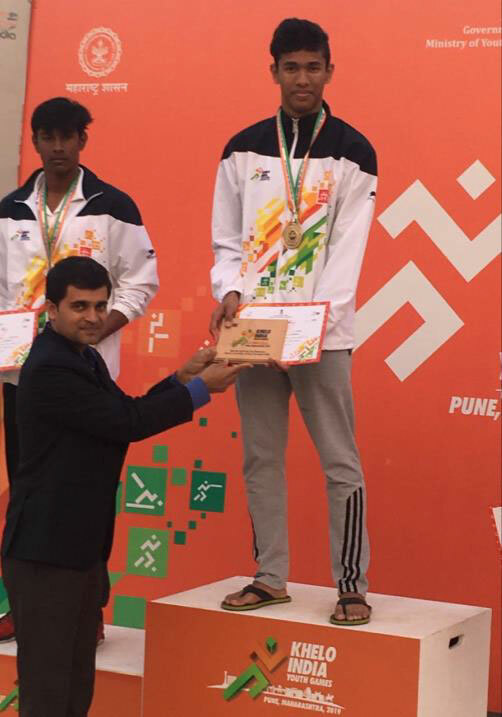 Abhijeet Jha bagged Gold in 200m, Silver in 400m and Bronze in 100m. Amaan won Bronze Medal in 400m. 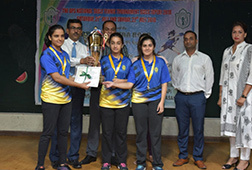 Tasha Ahmed won Gold Medal representing the Delhi Junior U-17 girls team at the 63 SGFI games held at Chhatrasaal Stadium, Delhi from 1 to 6 Dec 2017. 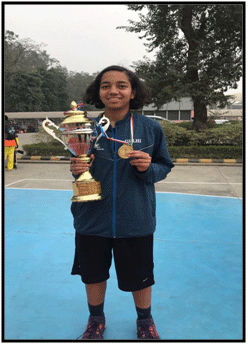 Yakshita Jain represented Delhi School Basketball girls U-17 in SGFI National Girls Basketball tournament held at Chhatrasaal Stadium from 1st to 6th Dec 2017 and won Gold Medal. 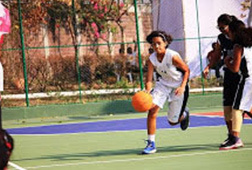 Saji Oberoi of Class VIII Represented Delhi State team in 44 Sub Junior National Basketball Championship held at Didwana, Rajasthan from 8 to 14 October 2017. 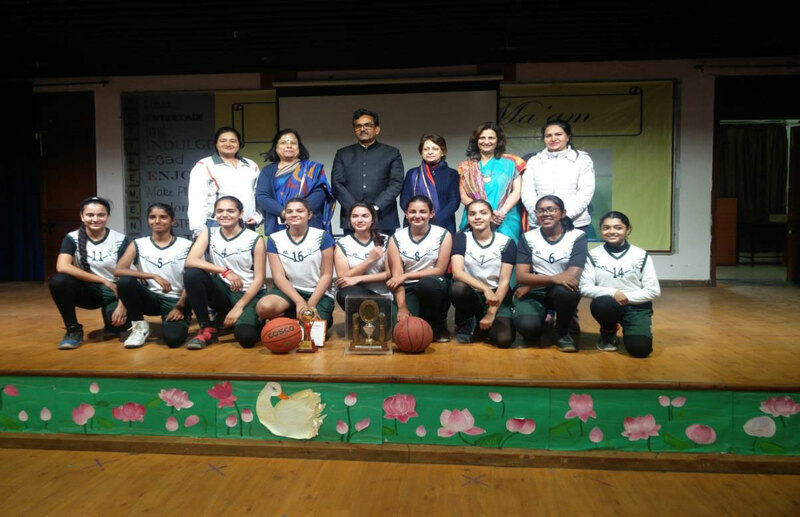 The girls Basketball team bagged the Champions title in all U-14, U-17, U-19 Zone 25 Inter School Basketball Tournament organised by Summer Field School, Kailash colony, from 24 to 28 July 2017. 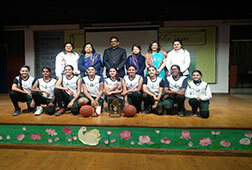 Following were the participants in the Inter School Tournament. Our school U 19 boys Basketball team became Zone 25 runners up in the Inter School Basketball Tournament organised by Summer Field School Kailash Colony, from 24 to 28 July 2017. 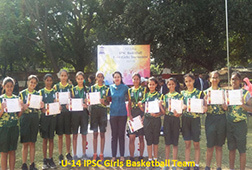 Our school U 19 Girls team bagged 2nd position in All India IPSC Basketball Girls U-19 Tournament held at The Lawrence School Sanawar from 7 Oct. to 11 Oct. 2017 where in Tasha Ahmed was adjudged as the most promising player of the tournament. 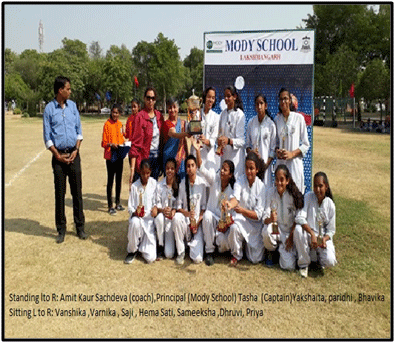 Our U-17 Girls Basketball Team secured 3rd position in All India IPSC National Girls Basketball Tournament 2017 organised by Mody School, Lakshmangarh Rajasthan from 6 to 11 Nov.2017. 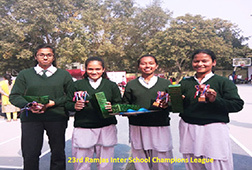 Our U-19 Girls Team secured 3rd position in The 23rd Ramjas Basketball Champions league Inter School Tournament 2017 where in 63 schools from and Delhi and NCR participated. The girls’ team secured 3rd position in All India IPSC U-14 Girls Basketball Tournament 2017 organised by Vikas Vidyalya, Ranchi from 17 to 21 Nov, 2017. 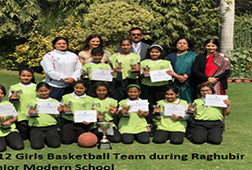 Our Junior U-12 Basketball Girls team secured 3rd position in the prestigious 23rd Ramjas Basketball Champions League Inter School Tournament 2017 in where 63 reputed schools participated. 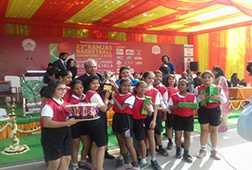 The tournament was organised by Ramjas School, R.K.Puram from 16 – 30 Nov 2017. 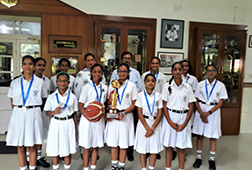 Another feather was added by Sub Junior Basketball girl’s team by winning Silver Medal in the Raghubir Junior Modern School Basketball Tournament in where 16 teams participated, our girls put up a great show in the Finals with Modern School. 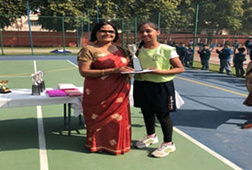 The tournament was held at Junior Modern School from 12 Feb. to 16 Feb. 2018. 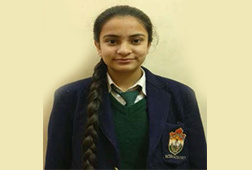 Harleen Kaur was adjudged as the best scorer of the tournament. 1. 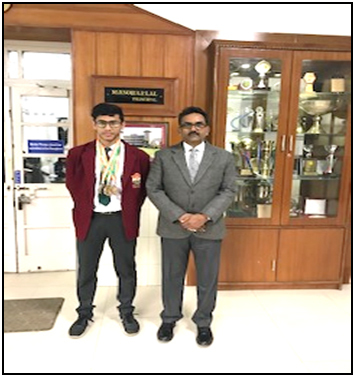 ANIRUDH JAIN Chess Championship 2017 Organized by Rukmani Devi Jaipuria Public school from 4 to 7 Oct. 2017 WON 1st position in U-19 boys CBSE At Emerald Heights international school, Indore from 9th to 11 June2017.U-19 Boys won the championship U-19 and U-14 boys teams participated in CBSE National Chess Tournament -2017 organized by Sarala Birla Public School, Ranchi from 14 to 18 Nov.2017 Won the International Grandmaster Chess Tournament 2018 in Category “C” organized by Delhi Chess Association from 9 to 16 Jan, 2018. In All India IPSC National Chess Tournament (Boys) 2017 held at Emerald Heights International school, Indore from 9 to 11 June2017. 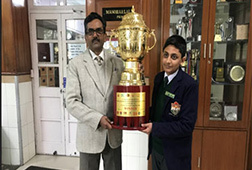 It is matter of proud for Delhi Public School Mathura Road that Anirudh Jain of Class VIII has won the International Grandmaster Chess Tournament 2018 in Category “C” organised by Delhi Chess Association from 9th to 16th Jan, 2018 at Indira Gandhi Indoor Stadium in which 1300 players from all over the world took part. He received one big trophy and a cash Prize of Rs 2,51,000/- .It is also worth mentioning that no player from Delhi have ever won such a big amount in category ‘C”. In the boys U-19 cricket team secured 2nd position in first cricket tournament of the season H.H.Maharaja Madhavrao Scindia Memorial Cricket Tournament 2017 held at the Scindia School Gwalior .M.P. from 30th March to 4th April 2017. The Cricket U-19 boys Secured 3rd Position in the All India IPSC Tournament which was held at Vallabh Ashram School Valsad Gujarat from 28 Oct to 3 Nov 2017. Rahul Chaudhary was awarded the best bowler of the tournament. The Cricket U-17 boys won the All India IPSC Tournament which was held at YPS Patiala from 28 Sep to 2 Oct 2017. 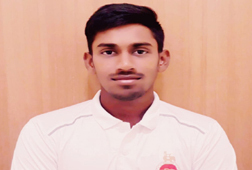 Manav Verma U-19 school team player represented Delhi Team in Vijay Merchant Trophy (detail). Vaibhav Kandpal represented Delhi State team in CK Naidu Trophy. Honey Shokeen, Aditya Sharma and Sidharth Singh represented IPSC combined Team in U-19 SGFI Cricket National Tournament held at Indore. Rahul Chaudhary, Samyak Jain, Harshil Jain and Manav Verma represented IPSC combined Team in U-17 SGFI National Cricket Tournament 2017 held at Mumbai. 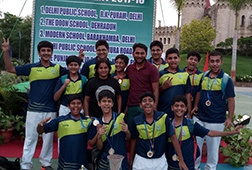 In GMR Dare Devil Inter School Cricket Tournament in which more than 60 schools from Delhi and NCR participated our school boys Cricket team stood runners up. Another feather added to school achievements and increase in the number of teams participating for the first time our girls Cricket team participated in All India IPSC Cricket Tournament 2017(Girls U-14) organised by Pinegrove School Dharampur from 24 to 28 Oct, 2017. Spreeha and Tarini were represented IPSC combined team to in SGFI Cricket Nationals 2017 held at Indore. Gehna Bansal of Class 10 A won Gold Medal in 13 Kotaka Cup held at Talkatora Stadium on 30 April 2017. Aryan Billani of Class-9 A represented Delhi and won Silver Medal in National School Games Karate Championship 2017. Ananya Aggarwal of Class X-A won Silver Medal represented India in 18Th Milo International Open Karate Championship held at Kuala Lumpur Malaysia on 13 -14 may 2017. 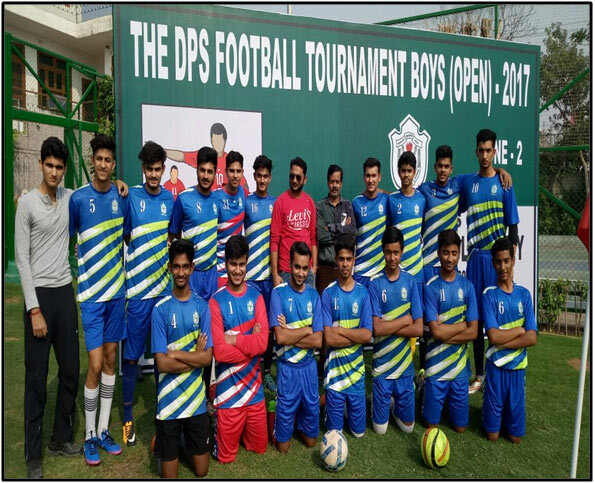 Our school U-17 Football Boys participated in the all India IPSC Football tournament 2017 held at B.K. Birla Centre for Education, Pune from 21st to 25th June, 2017. 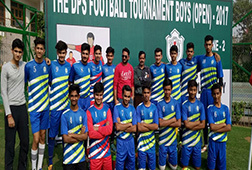 In 1st Paul George Memorial Football Tournament held at Paul George Global School, Alaknanda from 25 – 26 November 2017. Our U10 boy’s team won Bronze Medal. Varun Chandra secured 3rd position in Netball Boys and Yakshita Jain won Gold in SGFI National School Games held at Chattisgarh from 22 to 28 Nov 2017. 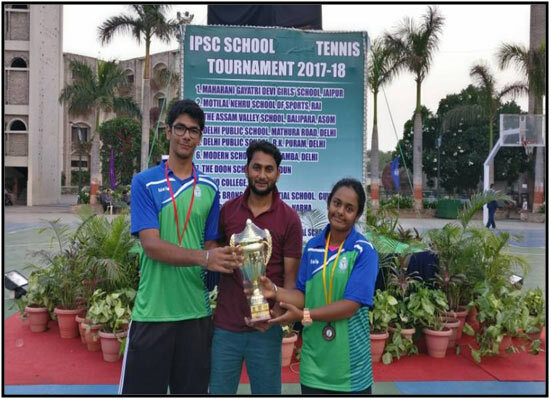 Raghav Wadhwa won Gold Medal And Jannat Kaur Anand won Bronze Medal in All India IPSC Tennis Tournament 2017 held at Emerald Heights International School from 9 to 11 June 2017. Jannat Kaur Anand our upcoming star of Class VIII–H secured 3rd position in PTT Asian U-14Tennis Championship held at Thailand from 25 Nov to 1 Dec, 2017. Raghav Wadhva and Jannat Kaur Represented IPSC combined team in Tennis SGFI National School Games 2017 held at R.K. Khanna Stadium New Delhi from 4 to 12 Dec 2017. Our school U-19 Boys participated in the DPS National Tennis tournament 2017 held at DPS Agra from 10 to 11 Nov, 2017. 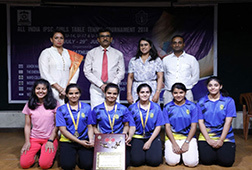 Ayesha Parveen represented IPSC combined team in Volleyball SGFI National School Games. 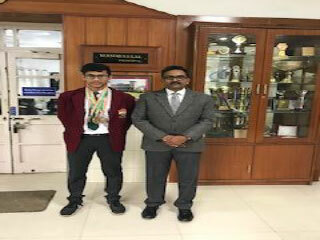 Tanmay Das brought laurels not only to our school but also made our country proud by winning a Silver Medal in Pacific International World School Games held at Adelaide , Australia from 3 to 9 December 2017. 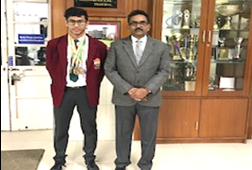 Tanmay Das of Class IX-F won Gold in 50m and Silver Medal 100 m back stroke in Junior Nationals Aquatic Championship held at Pune from 3 to 6 July. Tanmay Das is also selected to represent India in Asian Age Group Swimming Meet which was held at Uzbekistan in September 2017. 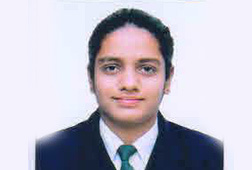 Robin Sen of Class VI–H won Gold Medal in 4 x 50m Medley Relay, Silver Medal in 50m. Butterfly and 4 x 50 m free style relay in Sub Junior National Aquatic Meet held at Pune from 28 to 30 June 2017. Jasmine Chawla, Vihaan Mehndirata and Aman Raj participated in Junior Aquatic Nationals. Ankur Raj participated in Sub Junior Aquatic Nationals. 32nd All India IPSC Swimming Championship was held at Genesis Global School Noida from 13 July to 15 July 2017. 22 schools from all over the country took part in the meet and 14 swimmers from our school participated out of which 11 Swimmers got Gold Medal in different age groups. Our school was overall runner-up. 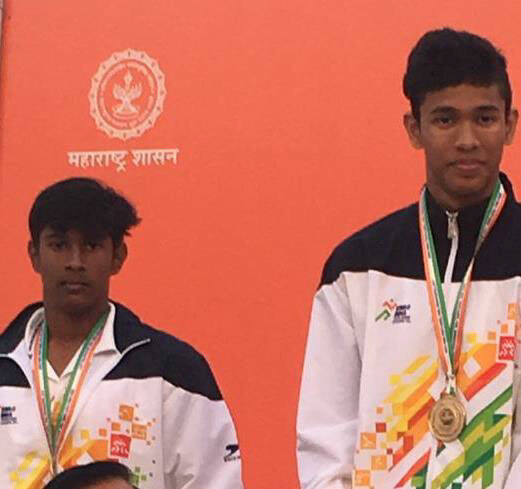 Vihaan Mendiratta (Under-19) was declared the best Swimmer with 4 Gold & 1 Bronze Medal. 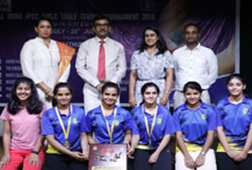 Jasmine Chawla was declared the Best Swimmer of the Tournament. Our school swimming team also won overall runners up trophy. Following student represented IPSC combined team in School National Games 2017.